Yes, there are drones everywhere. Drones of every size from mini electronic insects to a rather nice Zeppelin remake that is cruising around Hall 4 at the Hamburg Messe. Will Intergeo 2016 mark “peak drone?” I’m thinking not. Remarkably, this key role is not always initially appreciated by ‘smart city’ innovators. Nigel Clifford, CEO of the UK’s venerable Ordnance Survey pointed out in the plenary conference session that the perception of the value derived from geospatial data is changing as location data “uniquely unlocks value in others’ data.” He also coined the term Geovation – something we will be hearing more about in years to come I am sure. At the Trends in GNSS Positioning session, I was surprised to hear (or at least this how the translation came over) that both Herbert Landau of Trimble Terrasat GmbH and Bernhard Richter of Leica Geosystems were suggesting that if you bought their latest RTK/ PPP systems, you would never need to buy another one! Both had similar reasons: their systems had a “gazillion channels” for receiving positioning data, were equipped for multiple communication modes (terrestrial and satellite-based), had low power requirements but powerful computing on board, were easily portable, and the fact that in the near future some 120-140 GNSS satellites would be in the sky. This plethora of signals and multiple frequencies will allow a whole range of new possibilities. 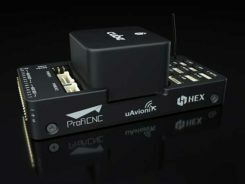 Along these lines, NavCom Technology announced the release of its Onyx multi-frequency GNSS OEM board. 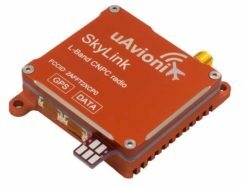 Offering integrated StarFire/RTK GNSS capabilities, Onyx features 255-channel tracking, including multi-constellation support for GPS, GLONASS, BeiDou and Galileo. Galileo Coming On Strong. Talking of new signals in space, what is the news on Galileo Initial Services? Reinhard Blasi of the European GNSS Agency (GSA) gave an update at the conference, and we can expect to see Initial Services by “the end of 2016.” Reinhard thinks that once services are established, Galileo will be in a leading position as GPS is between system upgrades and the E5 signal has some unique features. Galileo for Mass Market. This belief was supported at the ceremony for the Young Surveyors competition organised by the Council of European Geodetic Surveyors (CLGE) at the end of the first day at Intergeo. In the Galileo, EGNOS and Copernicus category the winner was Cecile Deprez from the University of Liege. She had looked at the possibilities for greater precision in mass market applications that might be possible by accessing the Galileo E5 AltBLOC. And the answer is yes it can. In fact she described the performance as “outstanding” compared to other GNSS signals. Which is probably fair comment. See what you think. Along with Desprez “Relative Positioning with Galileo E5 AltBOC Code Measurements,” you can find all the papers entered for the award on the CLGE website: http://www.clge.eu.